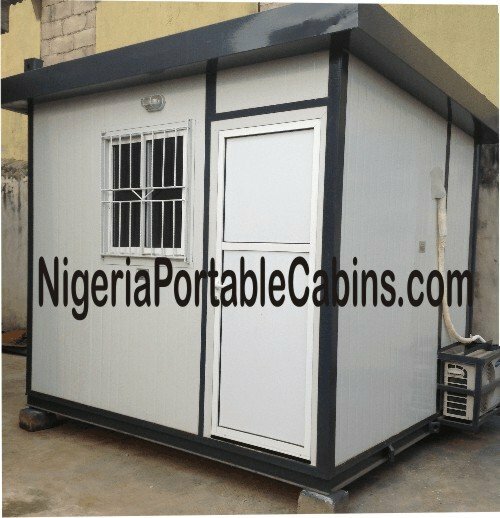 Distributors wanted all over Nigeria by portacabin manufacturing company based in Lagos Nigeria. Yes, we are looking for smart investors (and smart business-minded people) like you to become one of our portacabin distributors! This vacancy for distributors (and manufacturer's representatives) is for people who have capital to invest and who are looking for an investment / business opportunity without income limits. Distributors buy portacabins and other prefab buildings from us at distributor price and sell to their customers at retail price. We manufacture portacabins to any size required by customers. Remember . . . The above dimensions are standard dimensions. We can build to any dimensions required by the customer. We even build 1-storey building portacabins and duplex structures. Follow the simple steps below to become a portacabin dealer or distributor. 1. Fill the distributor application form below and click the submit button. We will send you our price list when we receive your application. 2. Decide the size of portacabin you wish to launch your distributor business with. The bigger the portacabin you start with, the easier it will be to close deals. 3. Pay for the portacabin you wish to start your distributor business with. 4. We will build the portacabin you ordered and deliver to you within 2 weeks of confirmation of your payment. 7. Sell off the portacabin and then order another one from us. Keep selling and keep ordering new portacabins to replace the one you've sold . . . and keep making MORE money for yourself. You may even find customers who want to order several portacabins at once. Just place the order with us and we will build and supply them fast. Ready to make money from a reliable portacabin manufacturer? Take this vacancy for distributors seriously. Fill the portacabin distributor application form below and get ready to make money big time. P.S: We build portacabins to customer order. Place your order and we will build to your specification or your customer's spec.